This is good. Various public figures who have stated they are atheists were asked why they do not believe in gods. The most common impediment to clear thinking that a non-believer must confront is the idea that the burden of proof can be fairly placed on his shoulders: “How do you know there is no God? Can you prove it? You atheists are just as dogmatic as the fundamentalists you criticise.” This is nonsense: even the devout tacitly reject thousands of gods, along with the cherished doctrines of every religion but their own. Every Christian can confidently judge the God of Zoroaster to be a creature of fiction, without first scouring the universe for evidence of his absence. Absence of evidence is all one ever needs to banish false knowledge. And bad evidence, proffered in a swoon of wishful thinking, is just as damning. …and there’s lots more like that. Some are clear, some are fervent, some are funny. It’s like a warm bath of reassurance. Living here in California, I am exposed to quite a lot of new age stuff. I don’t move in those circles, but it is everywhere. A lot of it seems to be very normalized – astrology in particular seems to be accepted and treated as true by people my age who were raised here. What’s funny is that many of the believers in that kind of thing will dismiss mainstream religion while embracing an equally fantastical belief system. One other aspect of Christianity in particular, as being the dominant supernatural belief system in the US, is the belief that Christianity should be the default, the starting point for belief. Any other system is edging it out, science is wearing it down, other religions are pushing it aside, but what should be there under it all is Christianity. In terms of raw numbers this perspective could be said to be true, but I think that comes from being dominant for so long. It reminds me of some forms of conservatism. In the UK in recent years, there was a sense of, “Well, we tried Labour, and it failed, so let’s go back to Tory. We should never have left.” It was as if the default government should be Tory, and anything else is an aberration. This ties into “The God Of The Gaps”, which is when supernatural forces are called into play to explain anything that science can’t. As science explains more and more, the Gaps that God occupies get smaller and smaller. But at the same time science discovers more and more that can’t be explained yet. Of course, a theist would say that the more science can’t explain, the more evidence there is for a god. The bigger the gap, the more need for a god. But science doesn’t have to start with a god and then chip away at it. Science can start with a completely blank page, filling it in as it goes, and discovering that the edges of the page actually stretch off into the distance. No need for a default, for tradition, for how things have been for centuries – only for what is right. This entry was posted in "Misc" and tagged Atheism, Religion on 2011-07-28 by mjp. The first prize in Put Up Your Dukes! The Art of Manliness Pose Contest is a nice leather purse. I’m getting a little tired of the manly traditional workwear not-alive-til-you’ve-rescued-a-woman-from-wolves school of bloggery. Fair enough, I checked it out, followed some links to the nice clothes, was entertained, but I think I’ll leave it for now. This entry was posted in "Misc" on 2011-07-25 by mjp. The religious hysteria website Avoid Harry Potter says that the Potter books are compelling preteens to get into black magic, Wicca, and so on. It appears they are jealous that it’s taking converts away from their own fantasy fiction. Luckily, they sell another book which you can buy to get informed about the Potter menace. Protect yourself and your loved ones from deceptive supernatural forces! If this chap cared so much about the children and their immortal souls, he would tell us these terrfiying facts for free, rather than charging $14.95. Charlatan. Con-artist. It’s like John McCain saying he would tell us where Osama Bin Laden was hiding, but only if we elected him President. Dungeons and Dragons got the Xians all worked up back in the 70s. There’s a particularly hilarious Chick Tract about it. Excellent Doctor Who podcast and website The Ood Cast have a neat project going – HaikWho. Every story from the show’s beginnings up to now is being regenerated into a haiku. plans conquest by WOTAN clan. Those reprogrammed soldiers will never reveal the WOTAN secret! The Ood Cast » HaikWho: Season Three 1965/66. Check out their podcast as well – songs and sketches (and jokes old and new) all about our favorite renegade Time Lord. This entry was posted in "Misc" and tagged Doctor Who, haiku on 2011-07-25 by mjp. I keep finding this floating around my drives, so I’m posting it again. I made this in about 2003. This entry was posted in Uncategorized on 2011-07-22 by Make It Stop!. This entry was posted in Uncategorized on 2011-07-20 by Make It Stop!. This entry was posted in Uncategorized on 2011-07-16 by Make It Stop!. We ended up using The Knot as our “wedding management tool”, and for the most part it was very good. But we had some issues with the guest list feature – which is arguably the most useful part of it. It’s very powerful, in that you can arrange your guest list into parties, for example a couple, or a family of five. Each party can be given a name, such as “The Petty Family”. A very powerful feature is the seating arrangement chart. This allows you to arrange tables, drop people on them, and make sure that all your guests were sat. But when we were ordering the invitations, we had to provide the names and addresses to be printed on the address labels. Similarly, when we ordered the table name cards from Etsy, we had to send an Excel file with all the details laid out in a particular way. Both times, it was tricky to export them from The Knot, and they required a certain amount of rearranging before they were useful. The Knot‘s guest list also allows you to link to your registry and track who has given you a gift – rather mercenary of course, but then as we kept telling ourselves, “Get while the getting’s good”. There are other features at The Knot which we didn’t use: the fora; the links to wedding supply stores, all with inflated prices; the wedding dress galleries. All in all though, the advantages outweighed the dis. This entry was posted in Wedding on 2011-07-13 by mjp. Retro-futurist blog Paleofuture found this interview from 1987 with David Byrne, where he gives his thoughts about how computers would affect the arts. He kind of gets it wrong, but it’s not really a problem. 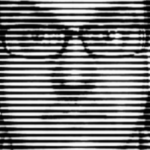 Here’s the link: Paleofuture – David Byrne’s 1987 Predictions for the Computers of 2007. It makes me wonder if the Knee Plays track 12 In The Future is all true. His main point is that computers are just boxes for adding stuff up, and also for communicating. They can do that, but even at that time they were so much more. Perhaps he was thinking mainly about traditional artistic forms – music of course, painting, physical objects. A computer in 1987 wasn’t going to help much there, it’s true. But even then computers were creating their own new forms of art. Not just graphics, but new music, new forms of text manipulation and so on. They were streamlining the publishing of dead tree media, and allowing vinyl and CDs to be created and transmitted more easily. What he does get right is that fragmentation of TV broadcast networks will give rise to highly specialized channels, aimed at ever-shrinking demographics. “In the future, everyone will have their own TV channel.” He separates computers from video and film. Of course, what has happened is that the convergence and digitization of these media means that anyone with a digicam and a Macbook can create watchable films, and that accessibility means a huge range of new forms of creativity. Art and artists can be very conservative though – or at least unimaginative when considering new forms. I remember going to the Cardiff Art in Time exhibition back in the mid-to-late-1990’s. Friend Robin got his degree in Cardiff, and so I would go along and visit from time to time. There was a panel discussion on how computers would affect art – and it was very irritating and frustrating. Apart from anything else, the first question was, “Why aren’t there any women on the panel?”, to which the answer was, “We asked an equal number of men and women to be on this panel, but only those you see before you responded.” So nyer. The discussion started, but quickly deteriorated into, “Computers aren’t any good for art because I get so much email and it takes me so long to sort through and answer all my email that I don’t get any art done.” The panel also talked a bit about how documenting a piece of art (in this case they were talking about performance art) could affect the art itself, or that the documentation was a piece of art in it’s own right. That was more interesting. But not as good as Stitt yelling, “Earth! Spread ’em!” later on. Back to Byrne. Predictions about the future are very tricky to get right. On the other hand, so many people are making predictions that some of them must be right – and then other people work hard to make those predictions a reality, rather than letting research follow it’s own path. See: obsession with flying cars. CARNAGE. 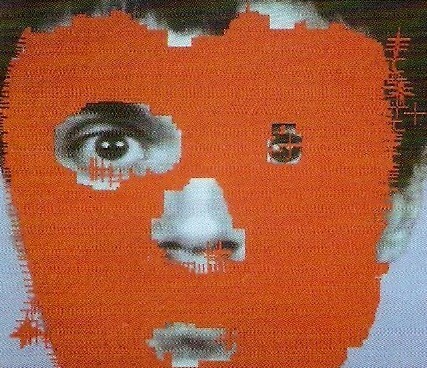 This entry was posted in "Misc" and tagged art, David Byrne, still love him, wrong on 2011-07-13 by mjp. Here’s the card as it was laid out by the printers. I personally think a lot of this could have been listed on the website, but we thought (correctly as it turned out) that many of our guests would only get the information from a printed card, even if the card just said, “Go to the website”. It all seemed to work out well. It would have been nice to be able to just point people to the website, and then have them get all of their information from there. But, not everyone looks at the web all the time, or checks email, or has email, or knows what a newsfeed is. So dead trees it is. This entry was posted in Wedding on 2011-07-12 by mjp.